We believe in providing quality fabrics to our clients. 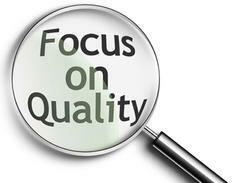 Our prime aim is to never compromise on quality of product and offer with modern trends in the market. We have a team of experts who checks every product from the procurement of items to the final delivery. They are known for their features like color fastness, latest trend, quality and long service life. Client satisfaction is main motto of our company. We are client oriented organization and provide international quality standards in manufacturing our fabrics and modified as per the client’s specifications. We accept client feedback and suggestions from our clients and to improve the quality of the products. We offer 100% client satisfaction to various clients. We also accept easy mode of payment for offering trouble free transactions.